I thought you might like to see what we did on our crafty weekend, so here are a few images – don’t really do them justice but you’ll get the idea. 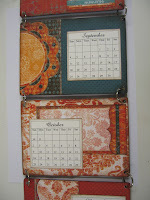 This was a hanging wall calendar made using EK success board kits and BoBunny Gypsy papers. 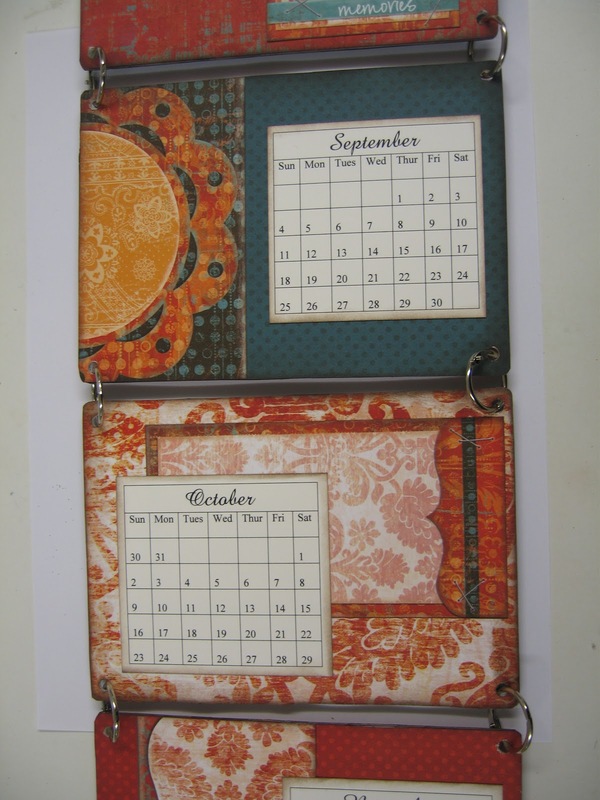 Gorgeous autumn palette and lovely swirly designs, reminiscent of swirling leaves – perfect for this time of year. 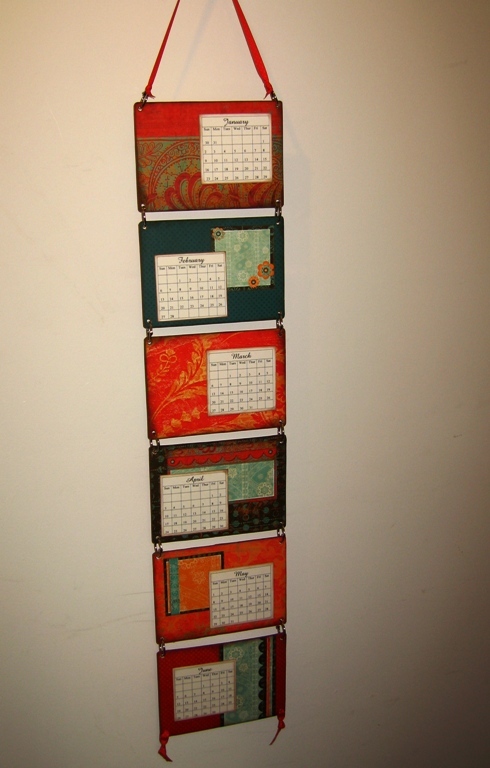 It had six panels, all double sided so when you reach the 6 month mark, you simply flip it round.